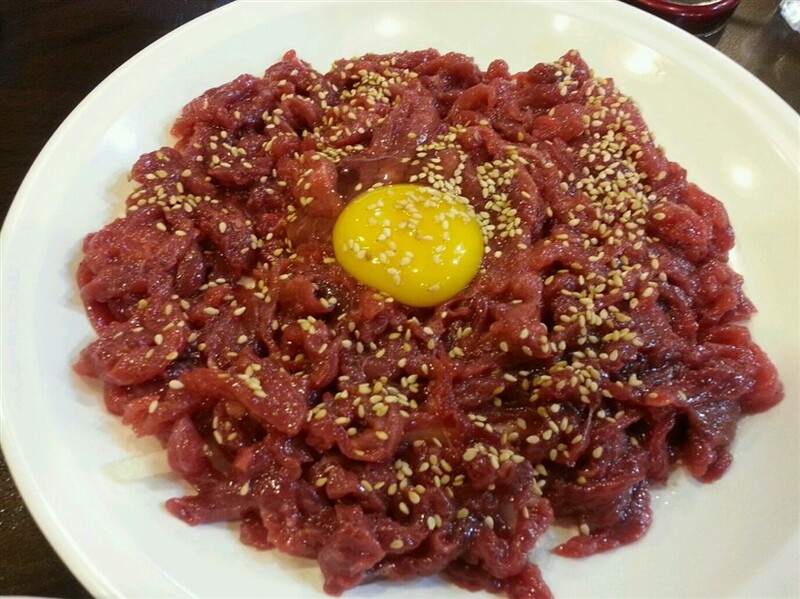 Yukhoe is the Korean version of beef tartare. It is made from raw beef strips and a raw egg. 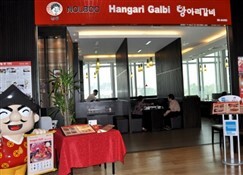 It is believed to have originated from the Joseon era where horse or ox meat may have been used. Yukhoe is a good cure for hangover. The most tender part of beef is most commonly used for Yukhoe. The beef used should be very fresh and not more than a day old. Restaurants usually have a sign announcing when they have fresh beef delivered. Raw beef is cut or ground into thin strips. The strips are seasoned with garlic, sesame seeds, soy sauce, honey, black pepper and sesame oil. It is served with julienned and an egg yolk which may be put on top of the seasoned beef or served in a side dish. Pine nuts may also be added. The whole dish is served on a platter and mixed together. Sesame leaves can also be used as a garnish for the dish. Yukhoe is commonly eaten with soju. It can also be served with noodle soup.